This is a resort golf course in the Ise-Shima area where you can play golf while enjoying the views of Ago Bay and the Pacific Ocean. Enjoy a relaxing time at this resort golf course, and afterwards savor lunch at the restaurant in the club house, which commands a superb ocean view. The Kintetsu Hamajima Country Club has a course layout that takes full advantage of the natural setting, with a beautiful contrast between the white sand bunkers and greens. Both the first nine, which is gently rolling and weaves through the forest, and the scenic second nine, with its magnificent view of the Pacific Ocean, have a seasonal appearance, leaving a fresh and positive impression on you every time you play a round. Spend a memorable day with seasonal views and excellent hospitality. At the restaurant filled with the gentle, bright sunlight, enjoy pleasant conversations with your companions. Have a relaxing time enjoying the brilliant views across the window with a coffee before teeing off and at lunch after finishing your round. Savor a delicious meal at the observation restaurant, which commands a brilliant panoramic view. This hotel offers a priceless view of Ago Bay, which is one of the most beautiful spots in Japan. It was established with the concept of quality elegant holidays for adults. 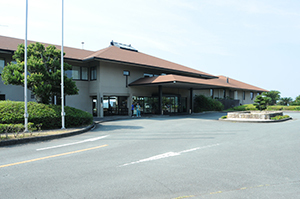 Kashikojima Hojoen is one of the largest accommodations in the Ise-Shima area. Its seasonal kaiseki meals and garden outdoor baths commanding a view of Ago Bay are extremely popular. 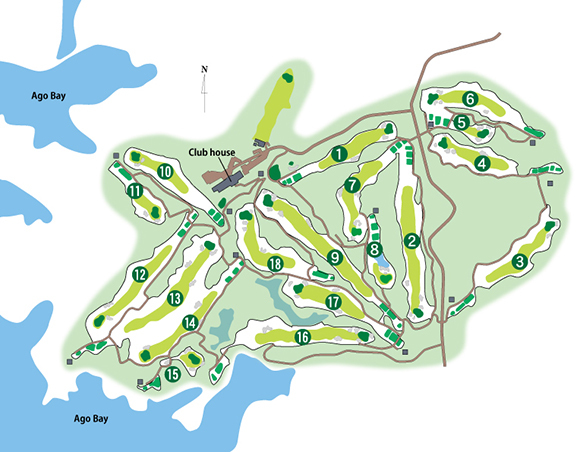 This is the course where the "Mizuno Classic - Ise-Shima," the only annual women's professional golf tournament in Japan hosted by the Ladies Professional Golf Association was held between 2006 and 2014. 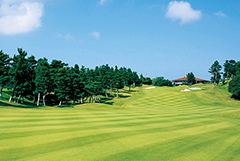 It is a spacious resort course that takes full advantage of the nature of the Ise-Shima National Park, a wonderful scenic spot. 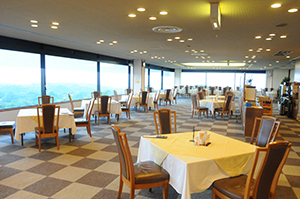 The Kintetsu Hamajima Country Club is approximately 10 minutes by club bus from UGATA Station. 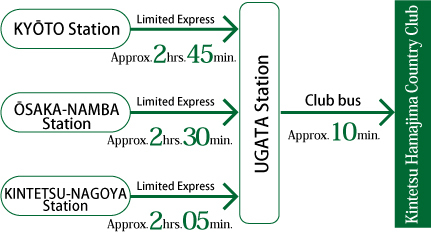 Taking a KINTETSU Limited Express is a convenient way to get to the Kintetsu Hamajima Country Club. copyright c Kintetsu Golf & Resort Inc. All rights reserved.